NEW YORK—Saturday April 13 at 8pm—join me for the world premiere of 'Stimmen' for vocal ensemble and electronics, performed by The New York Virtuoso Singers led by Harold Rosenbaum, Conductor. A setting of the eponymous text from Paul Celan's Sprachgitter (Speech-Grille), the piece explores the role voices have in shaping both individual and collective identity. guybarash.com/event/stimmen-world-premiere 1 week 1 day ago. Stimmen World Premiere & other updates https://mailchi.mp/31e1f3c9bf96/whoops-its-been-a-minute-1399501 2 weeks 3 days ago. Talk-yo! 2 years 4 weeks ago. NEW YORK — I will be performing a solo set of Guy & the Graphics SUNDAY 6PM at La MaMa Experimental Theatre Club! This multimedia installation will include video scores by Lorna Mills & Ronen Shai, and call for audience participation. You are encouraged to bring small instruments, toys and other noise-making devices, and jam along to Earle Brown’s iconic December 1952. Advance $10 tickets may still be available online. 2 years 3 months ago. Guy & the Graphics + Talkback... Coming soon to a theater near you! 2 years 3 months ago. 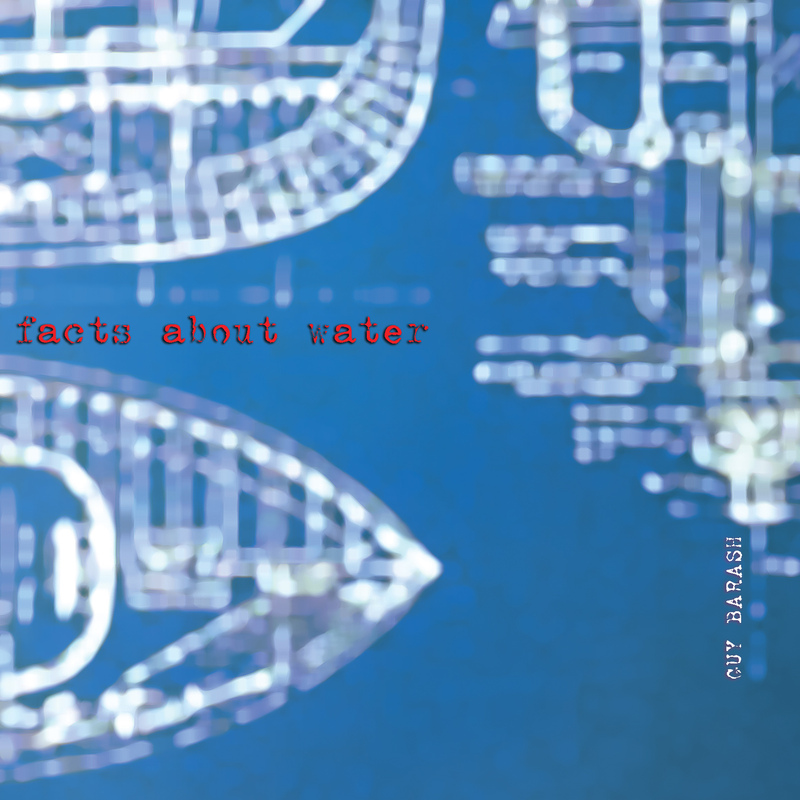 A prose-poem-like passage in Nick Flynn’s second memoir, The Ticking is the Bomb, provides the title for Guy Barash’s debut album, Facts About Water. This album represents Barash’s musical journey that started with them meeting one evening in a Brooklyn café in the fall of 2008 and developed into a fruitful collaboration. Flynn’s memoir frequently delves into the Buddhist cycle of birth, life and death (Saṃsāra) and other themes in post-9/11 American life, and includes many water references. Barash’s album is a personal meditation on the fluidity of our perception, mindfulness amid a hyperactive society and the cyclical nature of being — all qualities present in abundance in his tumultuous string quartet, Wrong Ocean. Barash developed a new aesthetic during this collaboration, investigating such ideas as simultaneity and synchronicity within the context of a psychologically-disorienting microtonal environment; exploring diverse sources such as the geometry of the beehive and the sonic environment within and around it from the perspective of Blind Huber, an 18th century beekeeper; redacted testimonies of Abu Ghraib detainees; and a shape-shifting, uncooperative deity with the gift of prescience. Facts About Water was produced by internationally renowned composer and producer Elliott Sharp. In 2012 Guy Barash was a composer-in‐residence at Turtle Bay Music School as a recipient of Exploring the Metropolis' Con Edison Composition Award. Currently he is a fellow composer in the American Opera Projects' Composers & the Voice program. In 2010 Barash founded Eavesdropping, a new music series at The Tank (now hosted by Spectrum NYC).